And Remember, we don't want you to get caught with your plants down! Bring the freshness and beauty of the outdoors inside! We add life to your life! INSIDE PLANTS creative designs for both home and office use living plants to bring the freshness and beauty of the outdoors inside. We offer a variety of interior plants, both live and artificial. We also offer beautiful, decorative containers to complement any interior design. Our certified landscape technicians are trained in interior plant maintenance and design. We work with you to make your vision come alive. We will provide the best care for your indoor plant selection. Whether you seek indoor plant rentals, sales and maintenance, or plant design, we’ve got the ideal solution! It’s not often that you can find all your indoor plant needs and services in one place. From a small commercial office to a multi-million dollar home, we can help you accomplish your design needs. Do you want artificial indoor plants? We’ve got them, too. Have your heart set on living walls? Take a look at some great examples. Do you have a custom, indoor plant design in mind? Let us know. We’ll make it happen! 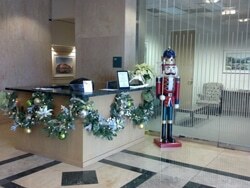 And when it comes to holiday décor, we provide the work and the glitter. Whether it’s installing a new holiday tree with decorations, or adding holiday decorations to what you already have in place, you get more… and without the hassle! Whether you have a commercial or residential need, get the benefits of our indoor plant rentals, sales and maintenance services. Leave the details to us. We’ll create, install and maintain. You just sit back, relax and enjoy your stunning, indoor plant décor. Inside Plants 5 out of 5 based on 5 ratings. 5 user reviews. I chose Inside Plants because they are a small scale firm that provides a wonderful product and excellent customer care - as a small business owner myself, I gravitate towards companies that share my work ethic and provide their clients with accessibility to their Team, should myself or my clients need anything! 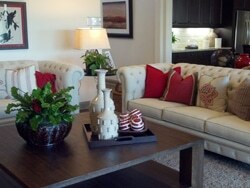 As a designer and a homeowner, finding the right product and design for your home or office is sometimes overwhelming. Heddy, with Inside Plants, is a delight to work with. She has assisted me on both commercial and residential projects since 2011, and with her expertise and knowledge, the selected plants, planters and arrangements always look and perform beautifully in every space. Heddy offers the best quality of service and products and is a joy to be with. She make the process easy and that is why I continue doing business with her. Inside Plants has been providing service to the Frontier Project since we opened in 2009. 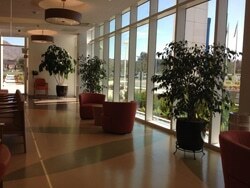 They worked with us and our interior design team to make sure the plants aligned with the design of the building. We are very happy with the service thery provide. There staff is always friendly and a pleasure to have onsite and the plants are always well Maintained. I can't say enough about the wonderful service I have had with Inside Plants. They are the only company that has kept my plants looking fresh and beautiful! We have been very happy customers of Inside Plants for over five years. We have a large variety of plants in our home, 33 to be exact! My husband and I travel quite often and it is so nice to know that I can count on Inside Plants when we aren't there. My plants always look great, and with their care, Inside Plants is very pro-active if any of the plants start to have problems. We have some problem areas where there is not enough natural light for plants, and Inside Plants has worked diligently and successfully with us to find plants that will survive in those areas. There have been several plant companies that claim they will take great care of your plants, however only Inside Plants have held true to this message. Thanks Inside Plants for great care, follow up, and meeting our needs for all of our plant care. 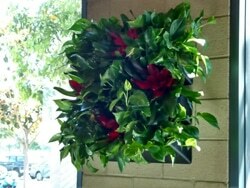 Heddy, Thank you so much for your service and beautiful plants for our lobby at Homewood Suites La Quinta. It was a pleasure doing business with Inside Plants. Here's to a happy & successful 2018!